The 2017 Oakley Surf Shop Challenge Southeast regional qualifier has been called on for Thursday, April 6th at Paradise Beach Park in Melbourne, Florida. Florida-area shop team will compete for the chance to represent their region against six other regional qualifiers from Southern California, North Carolina, New Jersey, Northern California, and Hawaii at the National Championships this fall. The contest is scheduled to run from 8 am to noon with forecasters predicting the best waves in the morning, two-to-three feet waist high NE and S/SE windswell mix, and declining throughout the day. Also expect windy onshore conditions in the early am, and then windy offshore conditions once the front moves through at some point late morning or early afternoon. The unique event series, which has been running since the 1980s, pits four-man surf shop teams (two sponsored surfers and two shop employees) against each other. 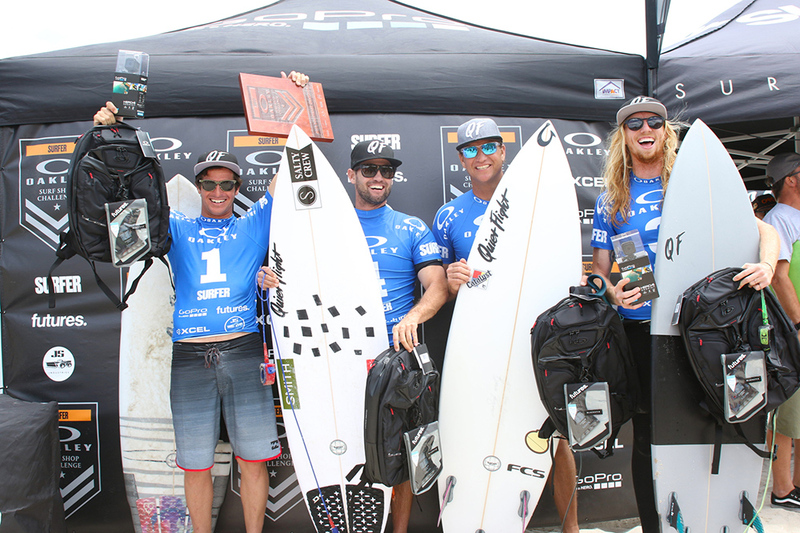 The winning team from each of the seven regional qualifiers will win an all-expense-paid trip to compete in the National Championship for a cash prize package and title of America's Most Core Surf Shop. April 6 – Southeast – Paradise Beach Park, Melbourne, Fla.
May 25/26 – Northwest – Pleasure Point, Santa Cruz, Calif.
June 9 – West – 54th or 56th Street – Newport Beach, Calif.
July 10/11 – Hawaii – Ala Moana Bowls, South Shore, Haw. Special thanks to Oakley, SURFER and event partners, FCS, Leus and Aluminati Skateboards for their support, without which the Surf Shop Challenge series would not be possible.